Hello and welcome! 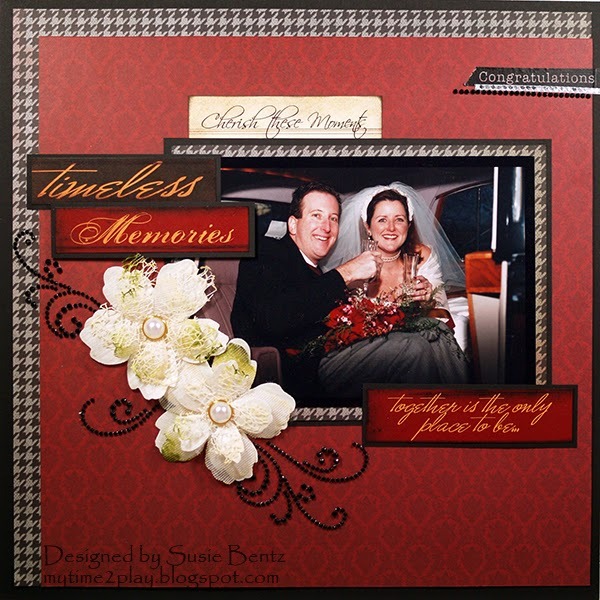 Susie here to share a wedding themed layout featuring the Cracklin' Rose collection. The colors and patterns in this collection are so elegant. 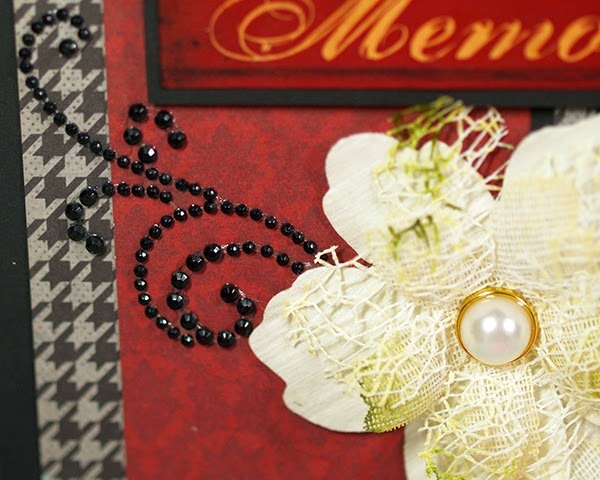 The black and gray houndstooth reminds me of menswear and keeps the layout from being too feminine. One of my favorite things about the collections from Quick Quotes is that they contain coordinated word and phrase strips. The Cracklin' Rose collection is no exception and I found that some of them were perfect for my wedding theme. 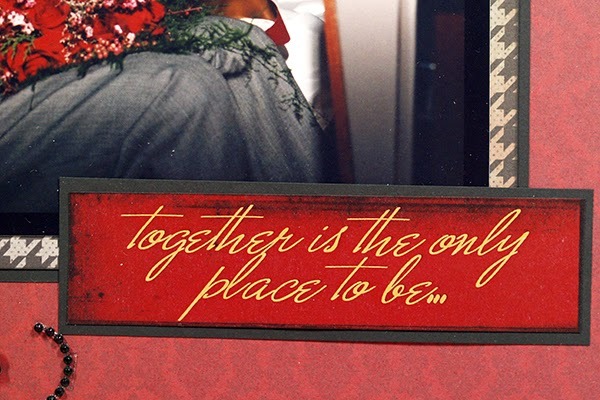 The "Cherish these Moments" tab is actually a small journal tag that I trimmed out, inked and tucked behind the picture. 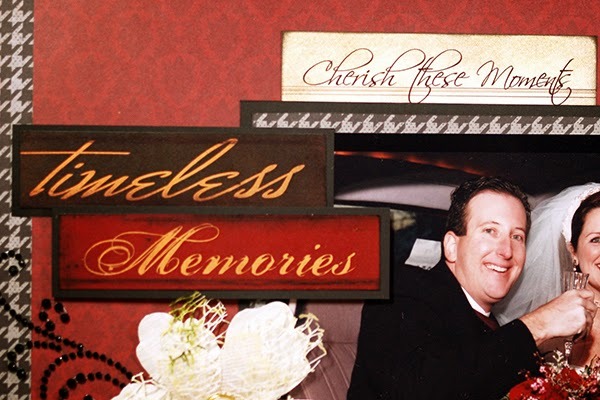 "Timeless" and "Memories" were inked, matted and adhered with dimensional adhesive. 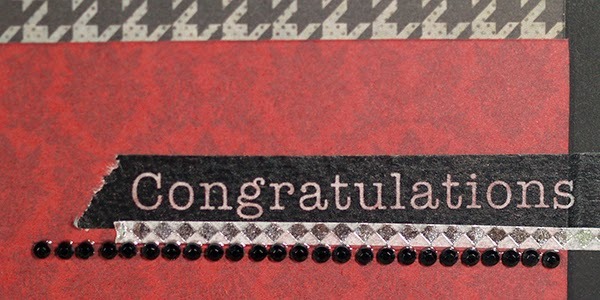 I reached into my washi tape collection and found a couple pieces for the upper right of the layout. 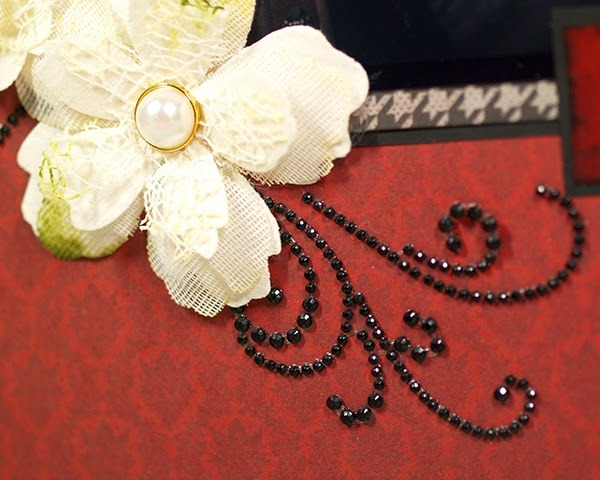 I added another strip of black rhinestones because you can never have too much bling!